Yes, it’s possible for you to lead employees to excellence at work, home and in their communities. A valuable part of leading sustainable for-profit organizations is introducing your employees to community relations. Part of leading people is developing them to be the best they can be, not only in the workplace but within their families and communities as well. Look at your people from a whole person perspective—they’re far more than just “workers.” Provide your people the opportunity to do good works, to achieve greatness in their lives, and they will do great things for you. Developing your people’s skills, both in and outside the company, can positively impact the communities in which they live and you do business. Encourage your people to be their best in every aspect of their lives. Many organizations now put programs in place that help match employees’ interests to community volunteer opportunities. Some organizations shut down for an entire week to help build homes with Habitat for Humanity, for example. What do you do? What more can you do? Imagine an organization that inspired their people by running a contest where each employee participated by demonstrating how their volunteer organization is the most impactful. The prize? The winner would receive a considerable reward to help fund their efforts. This article provides a great deal of information on what Elexio has done to encourage employees to look far outside their own communities. If you are promoting good works performed by your employees, not only in the workplace but also in the world we live in, you are doing great things for God. You are building a “Kingdom-Minded” Organization. Do you have HR practices that support these ideals? Do you help your employees help others? 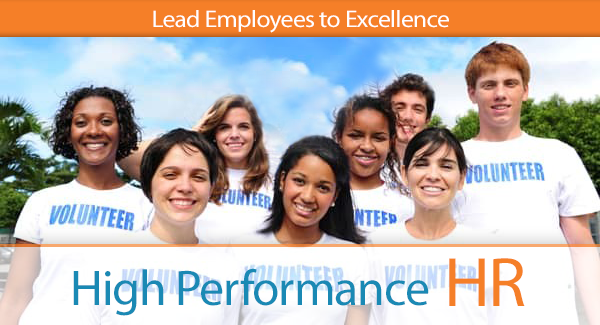 How do you find your employees’ strengths and match them to community involvement? Share your ideas and inspire fellow readers. We would love to know how you encourage your people to shine. Mark Griffin is founder and Chief Consultant at In His Name HR LLC. He has over 20 years of HR experience. You can learn more about his recently published book for College Students, College to Career: The Student Guide to Career and Life Navigation HERE. Follow Mark on Facebook, Twitter and LinkedIn.